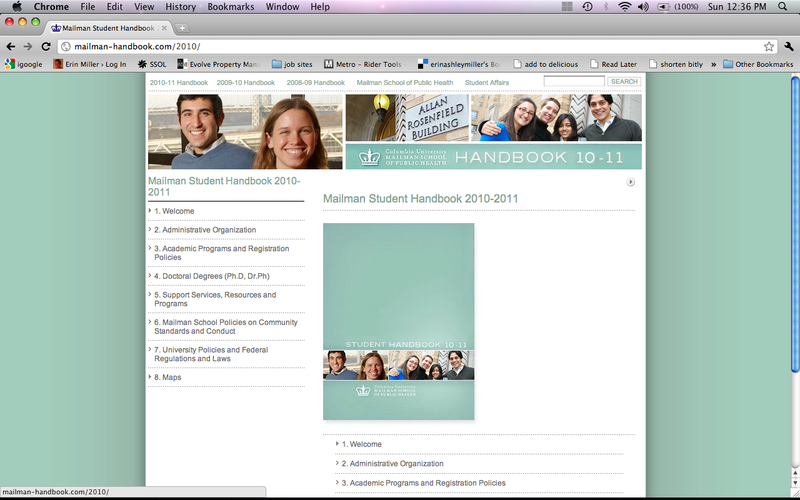 Check it out — I am on the cover of the handbook of my alma mater. Increase in daily coffee intake: about 8 oz. Went bowling at the White House, completed my last week of work at NACCHO, left an hour early my last day to fly to CO to be in my friend’s wedding, read the Affordable Care Act, just about cover-to-cover, and started work in the Assistant Secretary’s office. Huzzah. Cheers! PBR and White House bowling. I got to do a bit of policy evaluation and writing at work recently and one of the articles I co-authored with a colleague was published in NACCHO’s “Preparedness Brief” E-newsletter. The article summarizes the recently-published National Health Security Strategy (NHSS) and its potential implications for public health preparedness planning at the local level. The article focuses on a town hall session held at the Public Health Preparedness Summit in February, during which key stakeholders had an opportunity to provide feedback on the document. 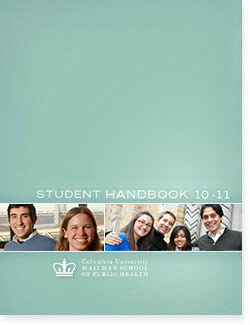 If such topics interest you, check out the article, National Health Security Strategy Town Hall. If this work excites you, consider taking a look at the position openings on the preparedness team at NACCHO. In honor of Mother’s Day, this post was a joint writing project with my mother, Dr. Wanda Venters. To be fair, most of the content was hers. Dr. Venters has practiced pediatrics at Parker Pediatrics and Adolescents for 18 years and before that practiced in the army for 10 years. Having been in private practice and government-run medicine, she has a unique and learned viewpoint of the current debate on health care regulation. Electronic medical records (EMRs) have tremendous potential to transform our medical system. However, healthcare consumers and pundits hold some misconceptions about the status of EMRs in the United States. EMR systems have two immense challenges, one involving patient privacy and another related to system coordination. These challenges can only be overcome through leadership and innovation by private companies and regulation by the federal government. There are many advantages to EMRs–legibility of records, coordination with pharmacies, improved data collection. EMRs will eventually improve record keeping and coordination of medical care. They will make outcome studies—the best way to control medical costs–much easier and more reliable. However, it is important to realize the limitations of EMRs. Decreased malpractice is not a prominent feature of the use of EMRs. The care provider is the single most important predictor of malpractice whether an office uses paper or electronic medical records. Further, EMRs do not always save providers time, which would allow them to either spend more time with each patient or see more patients. A recent visit to a friend who is still working in the army hospital were I did my internship 30 years ago revealed this phenomenon. Whereas we often saw 20 patients a day, the current residents in the general pediatric clinic can barely see eight. The electronic documentation of the encounters accounts for the remainder of their time. EMRs are also limited by security and privacy concerns, but perhaps even more dauntingly, they are encumbered by a lack of coordination. The technology for EMRs has not kept up with that of banking and other Internet services. Whereas I have been doing online banking, which requires a high level of security, for over 10 years, I still struggle with the multiple systems of EMRs in hospitals and other physician offices. Contrary to popular conceptions, different EMR systems do not “talk” to each other. Each hospital has a unique portal of entry into its database and very different ways of navigation. A physician who works in a single hospital will get proficient with its system. A physician who works at multiple hospitals will carry a small briefcase of passwords and navigation clues. Even EMR systems within the same hospital do not always talk to each other. After reviewing an X-ray report, I sent a patient to the emergency room of the same hospital where she had received the X-ray. However, the main hospital used a different EMR system than that used in the emergency room and thus the patient had to get a hard copy of the X-ray and carry it to the ER. Even within the government, there are different systems of electronic medical records. The army hospital where I did my residency does not have the same EMR as the VA system that is reportedly easy and fast to navigate. Therefore, even the Army and VA EMR systems do not “talk” to each other. In the short term, EMRs will not decrease costs and will not streamline medical care delivery. Many medical offices have gone to EMRs. Those that did so early are now on their 3rd or 4th system. As an investment of one quarter to a million dollars each time, it is hard to argue this technology is a cost saving for a small business. As my practice prepares to get EMR, we have been warned of many pitfalls. The biggest pitfall is that we would choose a vendor that suddenly stops supporting EMR, leaving us with records that we can no longer access. This is not just a theoretical problem-it has happened. Transferring our records to a system that becomes obsolete is a tremendous risk for a small business. These challenges can only be overcome through leadership. Private companies must do what they do best; they must innovate quickly, competing to create the most intuitive, secure system that can easily coordinate with other systems. The federal government must also do what it does best, it must standardize a baseline language for EMRs, guaranteeing that data transferred to EMR systems will remain accessible and providing small businesses with a sense of security that they can safely transfer their records. DCA –> TUS (Tucson, AZ) for a meeting with preparedness officials from the state health department and local health departments throughout Arizona. DCA –> ATL (Atlanta, GA) for a meeting with CDC project officers. DCA –> TPA (Tampa, FL) for a meeting to review PPHR applications from local health departments in Arizona and Virginia. I spent most of my time in airports, hotels, and meeting rooms. But I did walk around downtown Tucson one evening and get a chance to spend some time lounging by the pool in Tampa and walking the Tampa River Walk. This week will be the first time since Christmas that I have been in DC for a full week. I am looking forward to some relaxation and getting caught up with the things that fell through the cracks during travel.